For music producer, rapper and singer K Le. 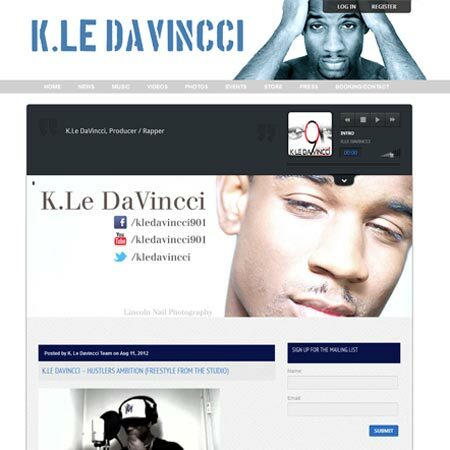 Davincci we implemented a clean and fresh website design to identify with his persona and music style. The site is easy to navigate and provides access to K Le. Davincci’s music projects, news, blog, calendar of events and more.